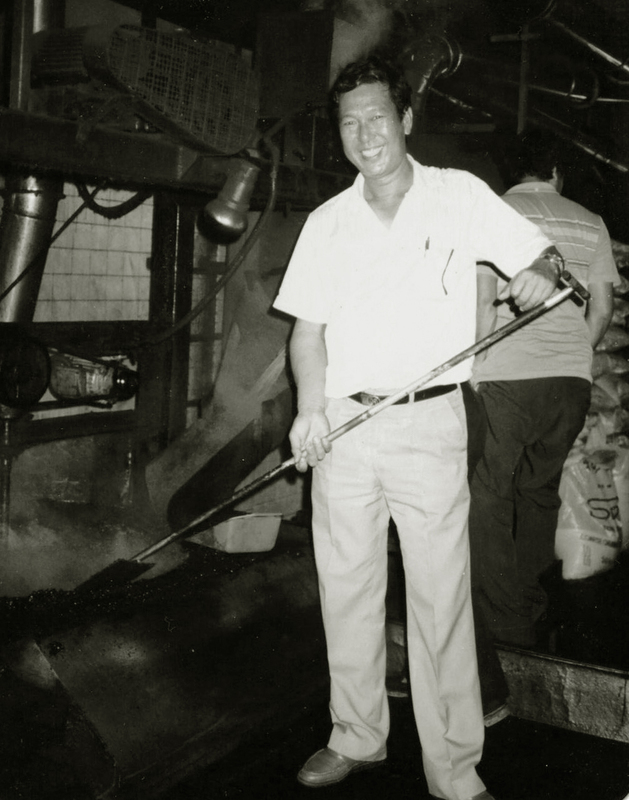 Mr Lim Yang Seah – the Founder of Yang Seah Coffee Powder Manufacturer, migrated from China and set foot in Singapore in the 1960s. Armed with no skills, he found a job as an apprentice in a local coffee roasting plant around the now-defunct Jalan Ang Teng in the Tai Seng area. After working day and night and acquiring this delicate skill of coffee roasting, Mr Lim endeavoured to set up his own coffee roasting plant and developed his own unique roasting method. Subsequently in 1973, with the support of his family, Yang Seah Coffee Powder Manufacturer was set up to fulfil his dream. Being a very hardworking person, Mr Lim visits his clients in the morning and by afternoon, he will be in his factory roasting coffee. His love and passion for coffee was quickly accepted by his clients who treated him as a close friend. Today, Yang Seah Coffee has become widely known in the industry and has an annual production of more than 600 tons. The production output has been supplied mainly to the business clients such as food chains, coffee shops, cafes and food courts. In 2003, Mr Lim set up Yang Seah Coffee and Tea Sdn Bhd in Malaysia to facilitate business expansion. We strive to seek good quality coffee beans and deliver the exceptional authentic experience of local kopi to anywhere in the world. From bean to cup, we are dedicated to providing the freshest traditional local coffee by handcrafting each roast to extract only the best characteristics from each bean.